Mukikim has won several prestigious awards for new product innovations. Announcing their entry into the Music category in 2016, the new "Rock N Roll It!" piano and drum sets are all flexible, portable and affordable. These new products are ideal for aspiring new musicians just taking interest in piano and drums. 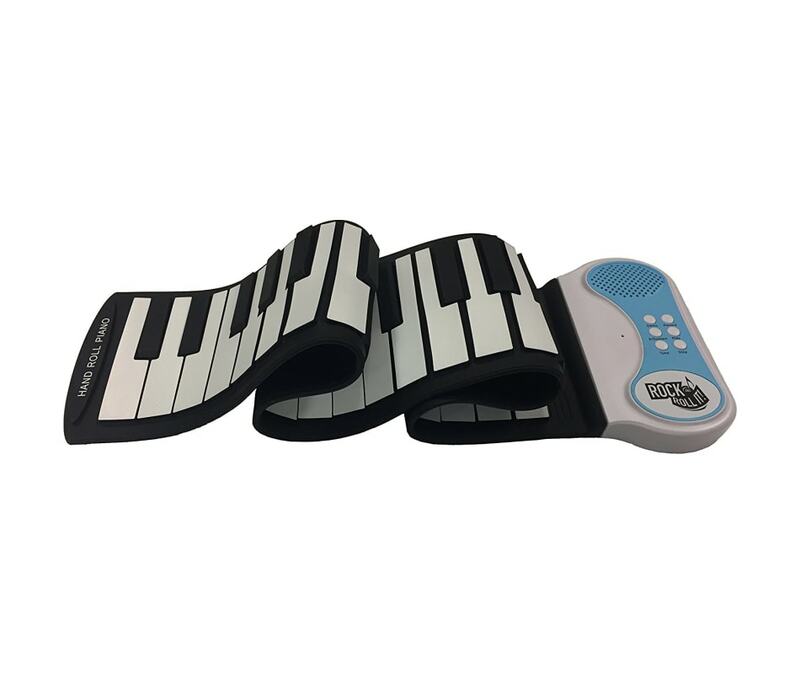 The silicon material allows the piano to roll up and travel in a backpack and runs off of USB or battery power. A beginning piano featuring 49 standard keys, multiple keyboard tones, multiple demo songs, record and playback feature, built-in speaker, battery and USB power supply.